Barbara J. Hartford, 71, of Merrimack passed away peacefully on Sunday, January 14th, 2018 at the Community Hospice House, with family at her side, after a courageous battle with cancer. Barbara was an avid Boston Bruins fan, loved to shop, and enjoyed family trips to Foxwoods and Mohegan Sun. She adored her grandkids and looked forward to making memories with family and friends at North Beach in Hampton, NH each summer. 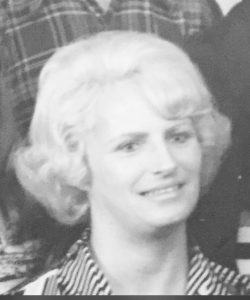 Along with her loving mother, Elizabeth, those left to cherish her beautiful memory include her daughter, Karin Mortimer and her husband Tim; two brothers and their wives, Rick MacGuire and his wife Karen, and Gary MacGuire and his wife Gail; six grandchildren, several nieces and nephews and their wonderful families. A private service will be held at a later date at the convenience of the family. For those who wish, memorial donations in Barbara’s memory can be made to Home, Health & Hospice, c/o Community Hospice House, 7 Executive Park Drive, Merrimack, NH 03054.